Fundamentals of Leadership: Communicating a Vision | Writing Assistance, Inc. Writing Assistance, Inc.
Today’s business climate of outsourcing, in-sourcing, virtual teams, and ROI-driven objectives can leave a manager at any level feeling powerless. Yet, we often see examples of those who can elicit unwavering support from their teams, driving highly effective projects, and getting the best performance from employees despite ever-increasing workloads. What is it about these individuals that makes them stand out as great leaders? Generally, the answer is the difference between a strict management model and one that includes basic principals of leadership. There are recognizable characteristics in great leaders and simple strategies anyone can adopt to improve employee performance and change the work environment for the better. Experts have long studied the subtle differences between general management, leadership, and truly great leaders. Thomas Cronin, author of, “ Thinking About Leadership ” observes, “Managers do things the right way , while leaders are more concerned with doing the right thing. ” A focus on managing projects and deadlines leaves little room for leadership activities, but it can be done in a step-by-step approach beginning with awareness and a little common sense. How well do I understand the department’s role in helping to meet the company’s larger goals? Can I summarize the group’s mission in one sentence? Can I articulate the kind of environment in which I want to work and share that vision with my team? When necessary, am I willing to argue against my superiors to protect the integrity of our work, and will the organization allow such challenges? How well can I identify the strengths and weaknesses of those with whom I work, and can I channel those strengths and weaknesses into positive tasks? Am I willing to delegate assignments and provide the kind of information others need to complete these tasks well? Am I willing to make mistakes, accept others’ mistakes, and use these as opportunities for improvement? What will the group’s role still exist in two years, five years, and beyond? Am I willing to empower others to make decisions and foster creative thinking? Do I believe I can make a difference, no matter how small? Objective answers to these questions do not always provide a clear direction, but they do help determine a personal commitment to accepting a leadership role. Self-inspection drills like this one can lead to the realization that vast improvements are needed, or even that an individual is in the wrong role or wrong organization altogether. It’s a personal decision, but a critical review for any manager, newly promoted, or seasoned veteran, to undertake from time to time. It also lays the groundwork for the most important principal of management: Communicating a Vision. The first critical task of any leader is to effectively communicate the vision. A mission statement is the intrinsic, ‘Why?’ of your department’s very existence and the vision becomes the “How?” – a compass from which everything else is driven. The Alliance for Nonprofit Management, a professional association of non-profit business managers, defines a vision statement as, “…If a strategic plan is the ‘blueprint’ for an organization’s work, then the vision is the ‘artist’s rendering’ of the achievement of that plan. It is a description in words that conjures up a similar picture for each member of the group of the destination of the group’s work together. “ This concept highlights the value of your contributions within the organization now and in the future. Every assignment, every objective stems from this vision and defines the basic goals for everyone within your group to achieve that vision. Defining a vision is based largely on the expectations of your superiors within an organization, but there is always room to further define your vision within the scope of those expectations. For example, a department of technical writers may be perceived as necessary for document management and process control, but a mission statement that illustrates a best-in-class performance communicates significance – a statement that the group’s employees may not really understand. Often, employees who do not feel valued or don’t believe their efforts matter have lower productivity and overall job satisfaction. Establishing a carefully planned and documented vision with your direct reports defines goals for the group and creates a personal ownership for every individual. Including your staff in a collaborative process cultivates buy-in and general acceptance. While not all employees will enthusiastically support the end results, you’ll have far greater success than if you attempt to impose your will and force others to adopt a new guideline. When beginning to discuss a vision with your team, first define the core values of your organization. These are the common ideals that everyone can understand, including integrity, creativity, innovation, service, and accuracy. If challenged in a new business climate, the organization would retain these principles. Review with your team the core values and mission statements for the company and decide if your team’s performance has adhered to that mission. The next phase of building a vision includes an examination of what your team will aspire to become or achieve as long-term goals. James Collins and Jerry I. Porras illustrate this technique in. “ Built to Last: Successful Habits of Visionary Companies. ” They describe a simple process of inspection that will further define the vision for your team. 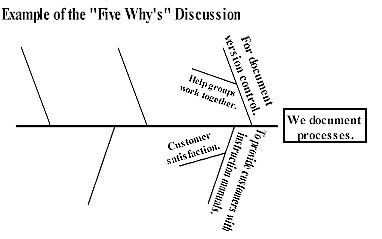 Begin with a single sentence of what the department does, then ask the group to explain why it is important. Ask this question five times. If your department ceased to exist tomorrow, what would the company lose? This discussion leads to the heart of your department’s contributions to the organization as a whole. After you have established a vision for your department, communicating it becomes an important final step. James O’Toole, author of Leadership from A to Z , describes this communication in broad terms, “The task of leadership is to communicate clearly and repeatedly the organization’s vision…all with the intent of helping every person involved understand what work needs to be does and why, and what part the individual plays in the overall effort.” Communicate the vision often, in both subtle and dramatic ways. Tie the day’s events back to the vision, underscoring its relevance. From internal memos, presentation, or posters, the vision servers a reminder to the team of their purpose and goals. The vision can be incorporated into objective setting and performance review standards as well as interdepartmental projects. These steps serve to energize and direct the group’s actions as stakeholders and advertise your efforts to upper management.